« Breaking News. Indian Motorcycle 2018 Scout Bobber. Blacked Out. 100 HP. Knobby Tires. Two-Tone Leather Seat. 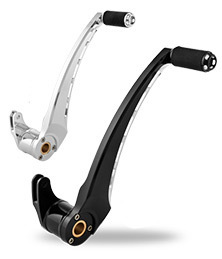 Performance Machine has just released a matching line of brake and shift levers to accompany its ever growing Apex Accessory Design Family. Designed to complement PM floorboards, the Apex levers feature classic, lightweight styling without forgoing comfort. Machined from billet aluminum, the new Apex levers are available in chrome and Contrast Cut finishes. Listed Retail Pricing. 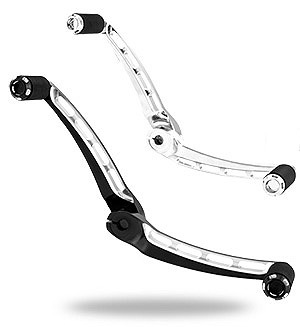 Apex Brake Lever 179.95, Apex Toe Shift Lever $129.95, Apex Toe/Heel Shift Levers $199.95. At Performance Machine.